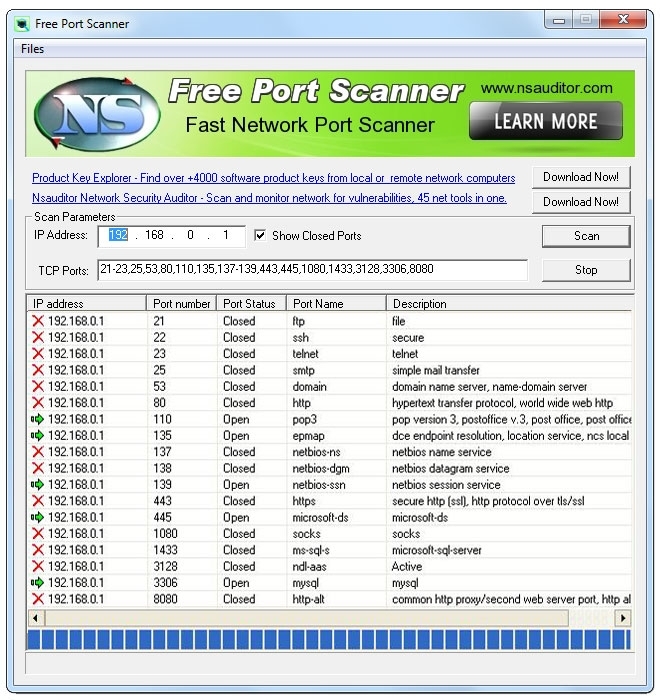 Free Port Scanner is a small, fast, easy-to-use and robust port scanner for the Win32 platform. You can scan ports on fast machines in a few seconds and can perform scan on predefined port ranges. This tool uses TCP packets to determine available hosts and open ports, service associated with port and other important characteristics. The tool is designed with a user-friendly interface and is easy to use.